So… do you think Gyros are an appropriate Easter dinner? Well there’s lamb in them, which seems very Easter like to me, so I am going to go with it. YES!! I mean, let’s make Easter dinner a little fun this year, right? 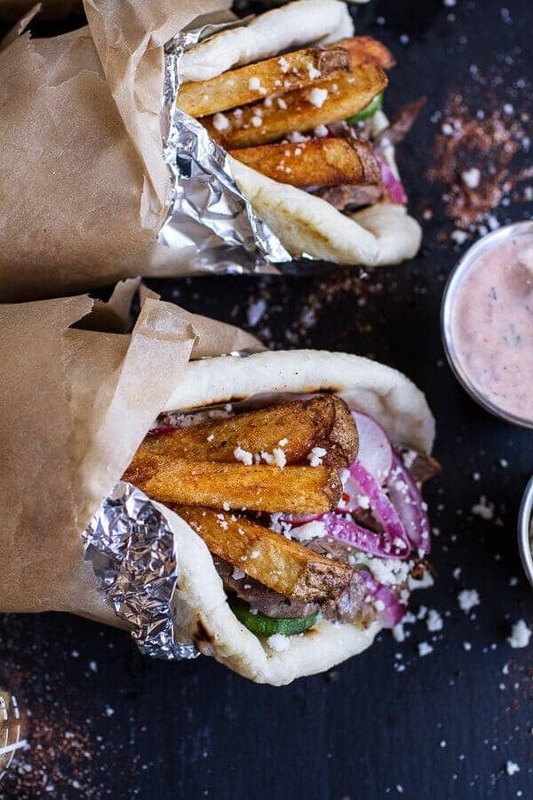 Bring on the lamb gyros filled to the brim with fries, feta and harrisa Tzatziki! 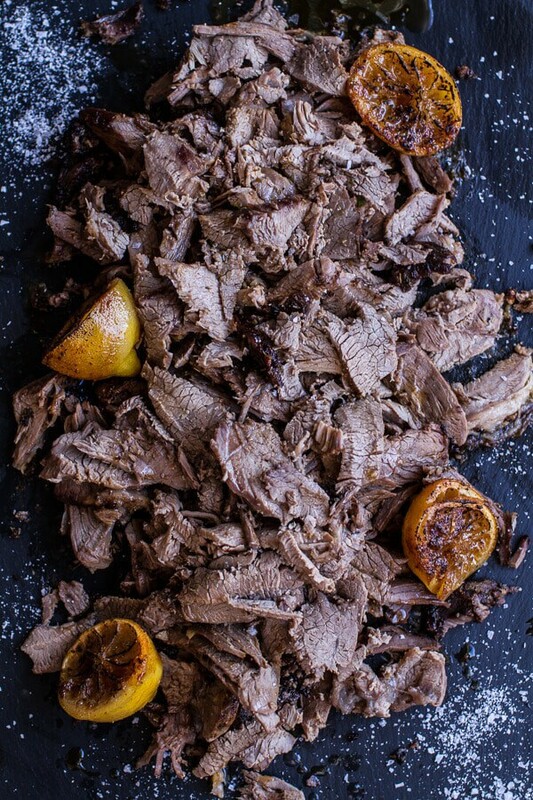 In all seriousness though, I really am thinking about re-creating these Greek Style Roasted Lamb Gyros for Easter. I think I might be in Florida with my family, so I should have time to cook things that actually are not for the blog (this never happens). The reason I say “I think” I might be in Florida? Well, at this exact time I currently only have a return ticket. Like one ticket, from Florida to Colorado. Why I have only purchased the return is beyond me. Who in their right mind buys the return ticket first?!? I would SO much rather have the ticket there…and no return. Vacation forever please, please, please and in a sunny warm climate?!? Oh yes, this sounds perfect. But of course I have the return ticket. LAME. In all honesty, the return was a good deal that I didn’t want to miss out on, but I am SO hoping the ticket there goes down in price in the morning! Well at least if I have the return that means I am totally buying the ticket there. Totalllyyy. I need some eighty degree heat and sunshine in a bad way. Have I mentioned Florida may be my very favorite place? Granted, I have never been to Hawaii or Mexico, but until I make it to those places and can compare, Florida it is! I have not been on vacation with my family in years and I haven’t been to Florida for Easter since I was in middle school, so I am pretty excited to chill by the pool and get to hang with my grandma and little Asher (and actually give her my full attention for once!). Plus, Asher is demanding that we spend lots of time shopping (shopping and shopping), playing by the pool, heading out in a boat and then having a spa day. No joke, those where her exact words. Spa day? I mean, whoa. Sometimes, she scares me a bit, but I gotta say, her plans sounds pretty awesome to me. I don’t even think she remembers what Florida is like since she hasn’t been there since she was little (only mountain trips for her), but she sure seems to have a pretty good grasp on what she thinks it will be like! Smart little six-year old. Anyway, the point is, I think I will be making this lamb for Easter. My grandma asked me to come up with some side dishes for Easter, but I don’t know, Gyros would still be ok as a side, right? Whatever, the more food the merrier I say!! And surprisingly these are really pretty simple to make. You’re basically just roasting the lamb, which prior to this lamb I had never done before. Don’t worry, if you have never made lamb, it’s easy. Like easier than a chicken…hello no nasty insides and stuff to deal with. 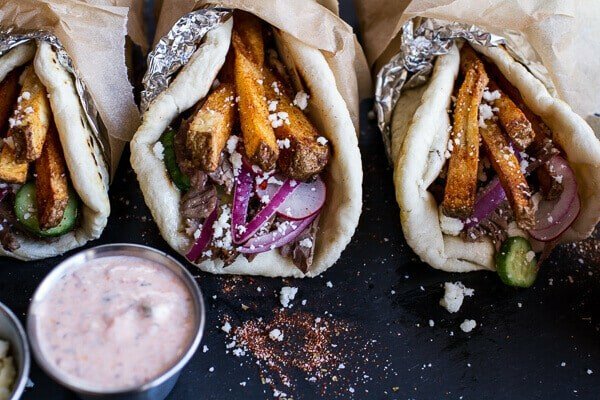 So you are roasting some lamb, mixing up a yogurt sauce, frying some fries (they really HAVE to be fried to get the full Greek effect – DO IT) and throwing it all in pita (homemade if you can, it’s so worth it!). Add some feta cheese, veggies and maybe some pickled red onions if you’re into them. Done. Ok, so it sounds like a lot, but it’s not, and none of it is hard. You can do this. You need to do this. Let’s do this! Wait though! I have to tell you a little about the Tzatziki though. It’s just like the Tzatiki that we all love, but with a little added kick from the Harissa. I got the idea to add Harissa from this Souvla in San Francisco, CA. 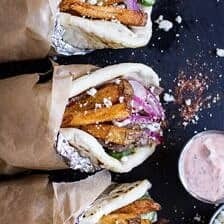 They have a Harissa yogurt and I thought it sounded awesome, so I did my own thing and made a version of Harissa Tzatziki for these gyros… and guys, it’s a killer sauce! Please try it and then proceed to use any leftovers for dipping with warm pitas. 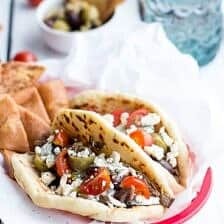 In fact make extra pitas just so you can do this for snacking the next day. 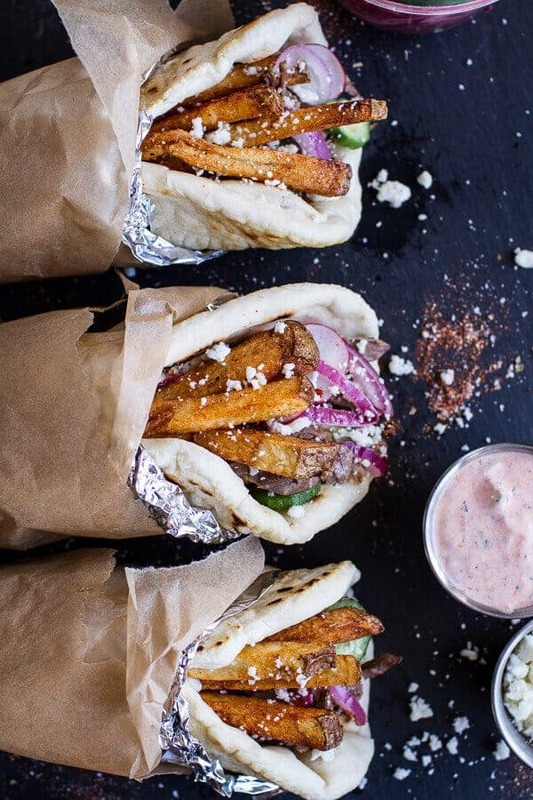 Bring on the lamb gyros filled to the brim with fries, feta and harrisa Tzatziki! Grab the garlic and thinly slice 5 of the cloves, set aside. Finely mince the remaining 3 cloves of garlic and add the minced cloves to a bowl. To the same bowl, add the olive oil, lemon juice, oregano, rosemary, creole seasoning, a tiny pinch of salt and a large pinch of pepper. Mix to combine. Place the lamb in a roasting pan and cut small slits all over. Grab the slices of garlic and insert them into the slits on the lamb, then rub the olive/herb mixture all over. Pour in enough water (about 2 cups depending on the size of your roasting your pan) to just cover the bottom of the pan. Cover the pan with foil. Roast on lowest rack of oven for 40 minutes to 1 hour then remove the foil and lower the heat to 375 degrees F. Roast for another 40 to 50 minutes, or until the lamb reaches your desired doneness. While the lamb is roasting, make the harissa spiced Tzatziki. 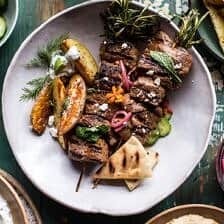 In a medium size bowl or glass measuring cup combine the yogurt, lemon juice, olive oil, dill, oregano, garlic, harissa and pinch of salt and pepper. Stir in the cucumber. Store in the fridge until ready to serve. 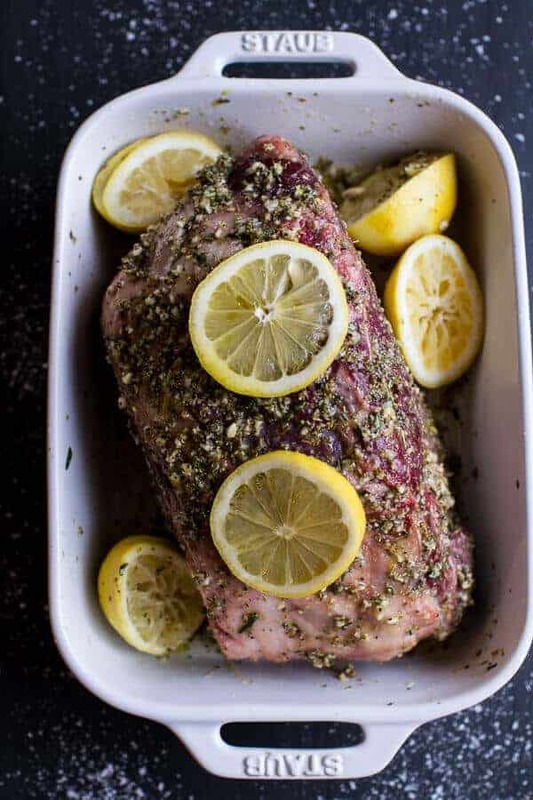 When the lamb is done roasting, remove from oven and let rest about 30 minutes as the lamb continues to cook outside the oven. Meanwhile, make the fries. Pour the canola into a 6-qt. Dutch oven, filling it about 3 inches up the sides. Heat over medium heat until a deep-fry thermometer reads 375 degrees F. Working in small batches, add the potatoes and fry, tossing occasionally, until tender and slightly crisp, about 4 minutes. Remove from the oil and drain on paper towels. Increase the temperature to high, and heat oil until thermometer reads 425 degrees F. Working in small batches, return potatoes to oil, and fry, tossing occasionally, until crisp and golden brown, about 2-4 minutes. Again transfer fries to paper towels to drain. 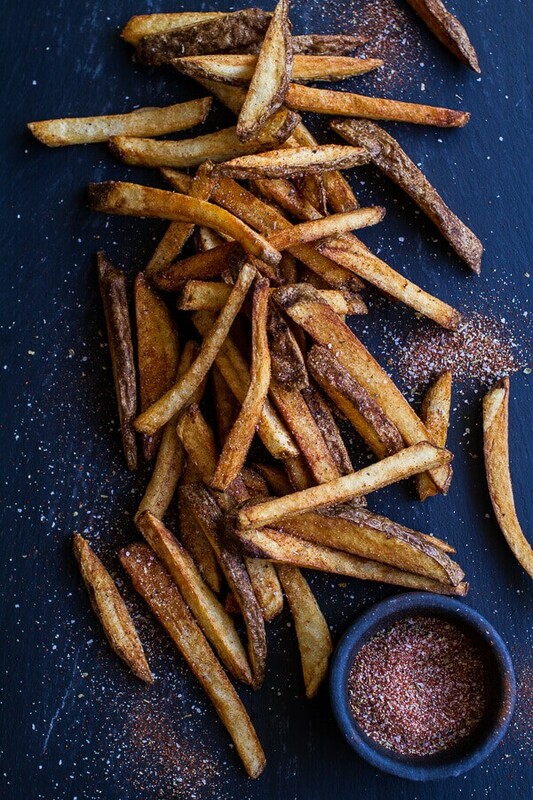 Sprinkle the fries with seasoned salt. Once the lamb has rested, shred or thinly slice the meat. 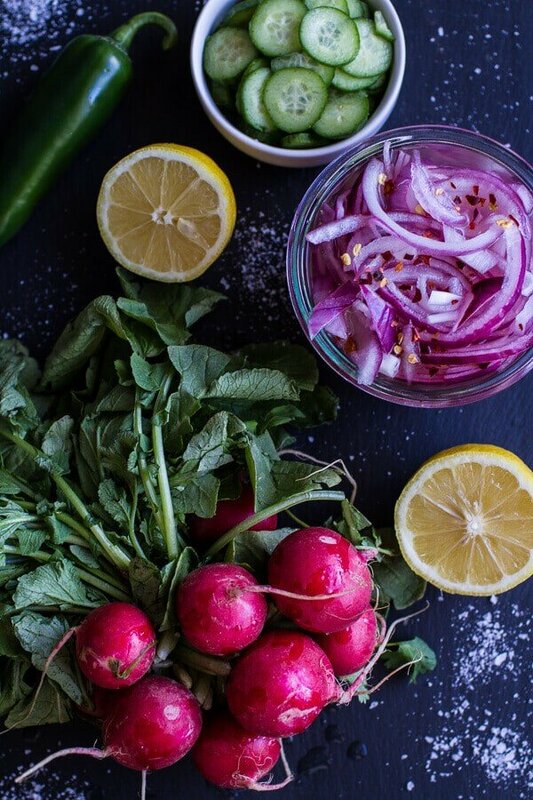 Serve inside the warm pitas topped with fries, pickled red onions, radishes, cucumbers and feta cheese. Serve the harissa Tzatziki alongside the gyros. Enjoy!! *To ensure the lamb is at room temperature, try and prep it about 1 hour before roasting. Oh but those fries. Fries were meant for stuffing in Gyros. NO JOKE. This sounds different than the kind I get at my local Greek restaurant, but just as delicious! And I’m loving how there’s chewy/fluffy pita AND creamy/crispy fries. Thanks Laura!! Hope you are enjoying your week! 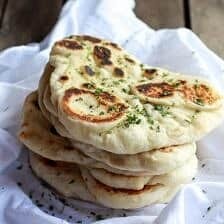 I love anything with tziziki and on pita! Asher is a smart girl- sounds like she knows how to vacation! Right?!?! Thanks Bri! Hope you are having a great week! I always get excited to see that you’ve made gyros! These may be your best ones ever! I think it’s awesome that you’re going to get some vacation time and Florida is one of my favorite places too! We used to go almost every year when I was little. These are so going to happen but I don’t think I can wait for Easter to try them! Thanks Lisa!! Oh an yes, I would go to Greece to do the same! SO MUCH YES TO A GYRO BAR!!! And I am insanely jealous that you are going to FL. I miss living there SO MUCH. Now I am going to slather that harissa tzatziki all over my face and drown my sorrows in 20 gyros. Right?!? Doesn’t that sound amazing! 🙂 LOL! 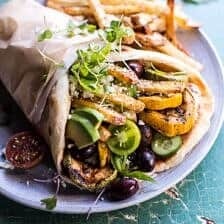 My husband always wondered why the fries werent stuffed inside gyros when we moved to America…he also would be happy with your correct wrapping technique, as he says no one here can get that right! 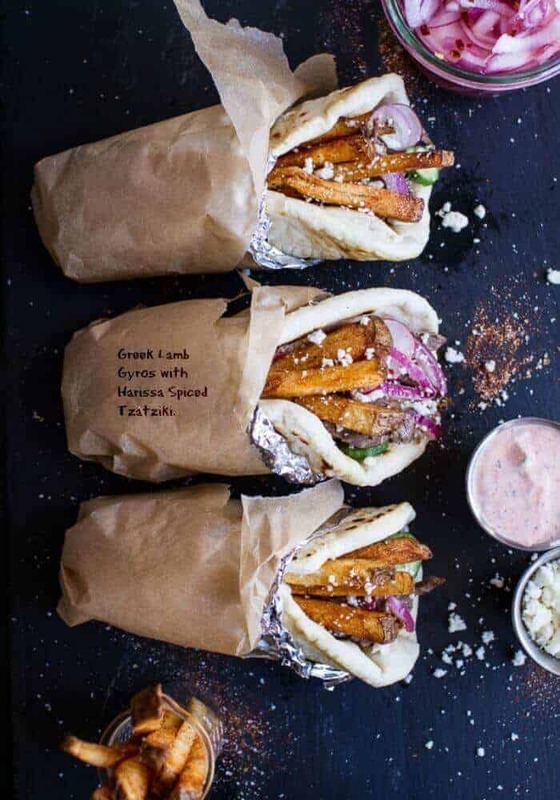 They actually call this wrap souvlaki, and gyro refers to the meat itself (gyro means ‘around’) these look amazing and make me nostalgic! Harissa and Tzatzik are my two best friends! Love this!! I want to get all these things in my belly right this minute. Harissa in the tzatziki?! Yum! Hipmunk is great for finding good flight deals if you’re still looking! Gaaah these look so good! Love the fries in there! I used to go to Florida to visit my grandparents during spring break, and all my friends thought it was SPRING BREAK! whoo hoo! But really, it was shuffleboard and lounging by the pool…which was just fine with me 😉 Have a great trip! 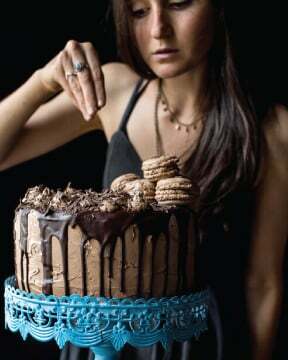 This look a deeelicious. And I would totally eat that for Easter lunch. Thank you so much, Alida!! YES, YES and YESSSS! I will have a gyro bar and it will be GLORIOUS! 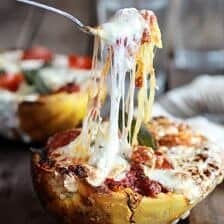 Excellent looking recipe!! I fell in love with fries in gyros when I was in Greece from the street cart vendors. I had never seen that before… and I’ve never found a place in the US that does it. I can’t wait to try your recipe! Thanks Hank! Hope you love these! 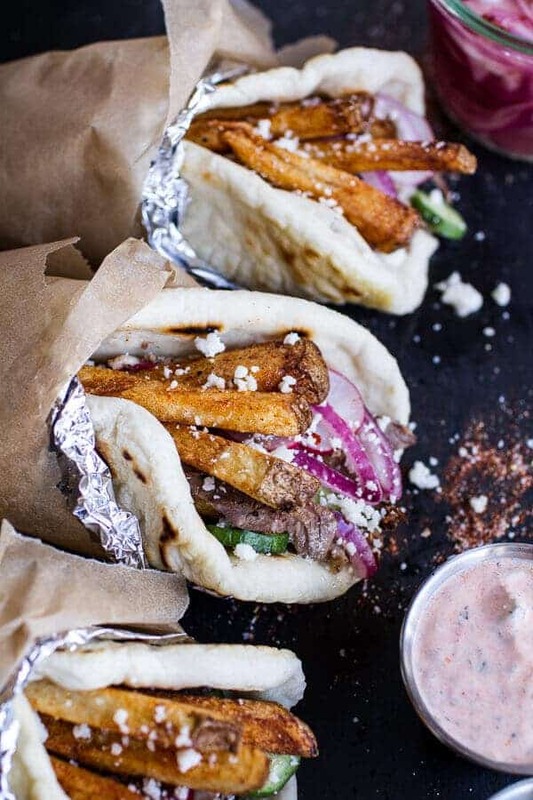 Greek food sounds like just about heaven to me right now, love these gyros! These look so over the top mouthwatering! I am in love with gyros. Even though I have no idea how to pronounce the word…I have heard so many variations ;). I want to eat this NOW. Umm yes to fries in gyros! These sound so fun for Easter! 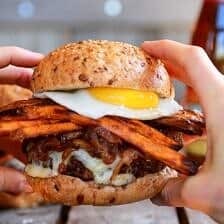 This is one of my favorite meals of all time and I never even thought to make it at home! I am DROOLING. 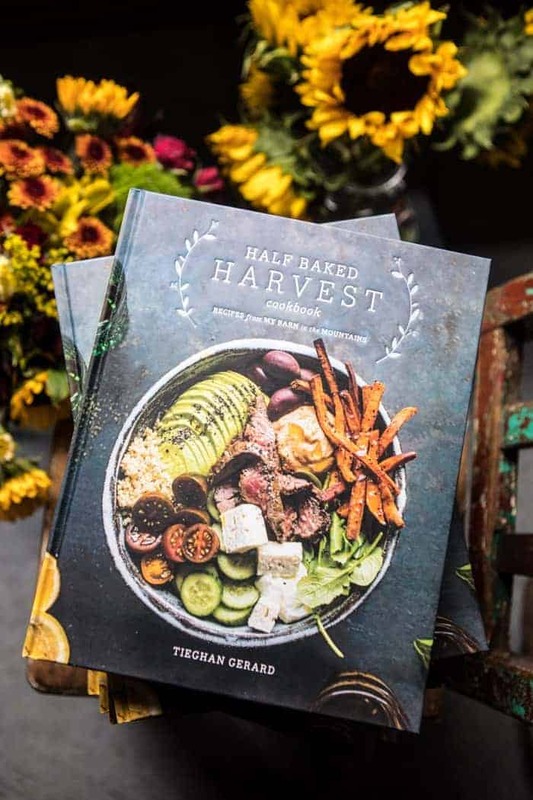 Have a wonderful Easter with your family, Tieghan! 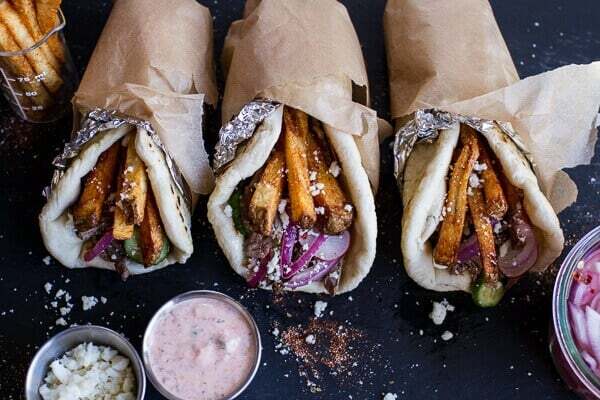 These lamb gyros are a lovely twist on the traditional meal. these look phenomenal!!! love any excuse to eat tzatziki. and fries?! genius. 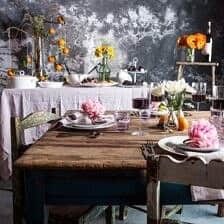 I’m planning on making these for a dinner party. 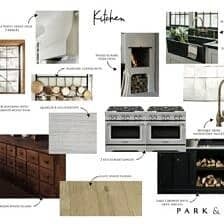 Do you think I could do the initial potato fry, place them in a low temp oven for an hour on a cookie sheet to stay warm & THEN do the high heat fry right before dinner is served? Or would they be a soggy mess. I am really sorry you did not enjoy this recipe. I can’t really say what might of happened without knowing what you did. Unfortunately some recipes are just not for everyone, so maybe this one was just not for you. So sorry for any trouble. Hello, I bought the ingredients to make it on New Year’s Eve. I noticed the recipe calls for only a 1 lb. Leg of Lamb? Mine is almost 4 lbs. Please let me know if this recipe is for a bigger roast or should I quadruple the spices. Looks yummy! Cant wait to make it.